Woolwich Web Works has been collaborating with Muuz Group (formerly called Monsterfarm) since 2011. Muuz principal Kevn Hansen is an outstanding designer and strategist. We collaborate with him to build technically complex website projects for a variety of organizations. Muuz Group completes the design process directly with the client and hands off design assets to us for implementation. 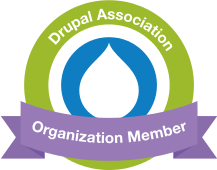 We collaborate with them to determine the best method of implementing the clients requirements, usually using Drupal as our content management platform. Some of our solutions include complex membership submission applications, component-based content displays, and easy to create specialized micro-sites.